Lonely Travelogue: Guest Post: Johannesburg - For That Phenomenal Tourist Experience! Guest Post: Johannesburg - For That Phenomenal Tourist Experience! There can be no doubt about the fact that Johannesburg with its diverse attractions encapsulates everything you have always heard or wanted to experience in South Africa. South Africa has always been known for its diverse tourist attractions. Travelers from across the world throng to this country to experience the very best of its culture, wildlife, shopping, food, people, lifestyle and entertainment. 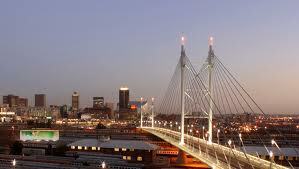 Johannesburg is one of the cities they invariably stop over to enjoy and have a fabulous time. The O.R. Tambo International Airport of Johannesburg greets you as soon as you land from the plane with your cheap tickets and set your foot in this city. You will find a number of attractions within the airport itself and you can spend some time exploring them. You have the option of checking in at the Johannesburg International Guesthouse Association, which is close by for a good night’s rest before you begin your tour of the city. You can make a beginning by heading to the Gold Reef City. This is a massive entertainment complex with a theme park as well as a Casino that is open throughout day and night. What is impressive is the variety of gaming options that are available at the Casino. While the kids can have a blast at the theme park, you can satisfy the gambler in you by playing the many games at the Casino. The history of this destination and its rise to become a formidable tourist destination is wonderfully presented graphically at the Gold Reef City Park. The Carnival City Casino and the Monte Casino have games that are unique and worth your time. Your family will love the variety of shops, eateries, theaters and the magnificent bird garden around Monte Casino. The Nelson Mandela Square is quite impressive with its 2.5 ton statue of the South African President, who is regarded as the father of its democracy. You cannot but marvel at the contribution of one of South Africa’s greatest personalities. If it is South Africa, then the superb diversity in flora and fauna cannot fail to engage your attention. The famous Big Five animals can be viewed in all their magnificence at the Johannesburg Zoo. If you are keen on a safari, then there are day trips organized by tour operators. They will take you to different Game Parks where you would be able to see the animals in their natural habitat. More than 200 bird species are on view as well. You thus have access to the best of wildlife in both environments. The colorful history of South Africa is on display at the many monuments and museums. 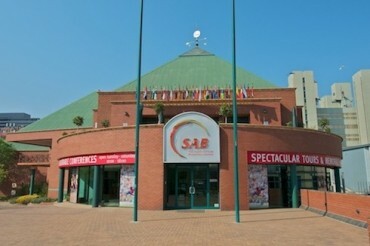 The Barnyard Theater is another place where music shows and plays bring out the essence of South African culture. You can also visit Soweto, Alexandra to absorb this culture.